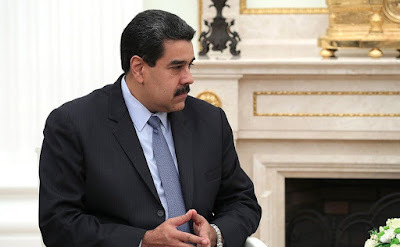 Russian President Vladimir Putin held talks with President of the Bolivarian Republic of Venezuela Nicolas Maduro in the Kremlin. Vladimir Putin and Nicolas Maduro discussed bilateral cooperation, as well as political, trade and economic issues. 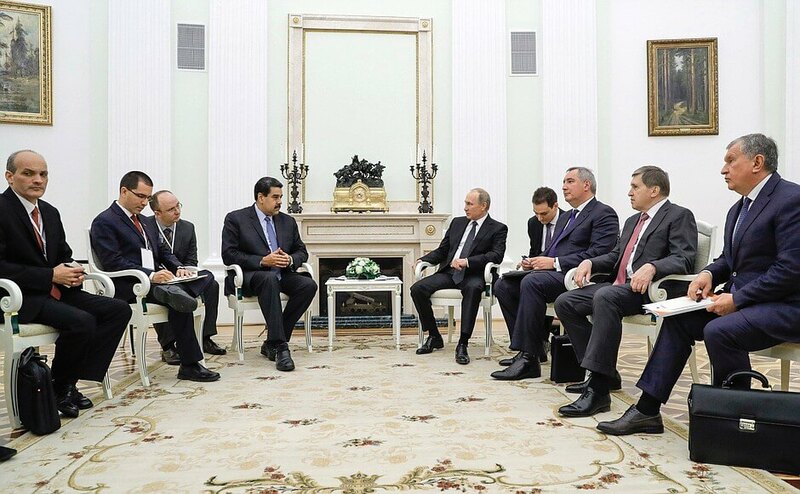 Russian - Venezuelan talks in Moscow. 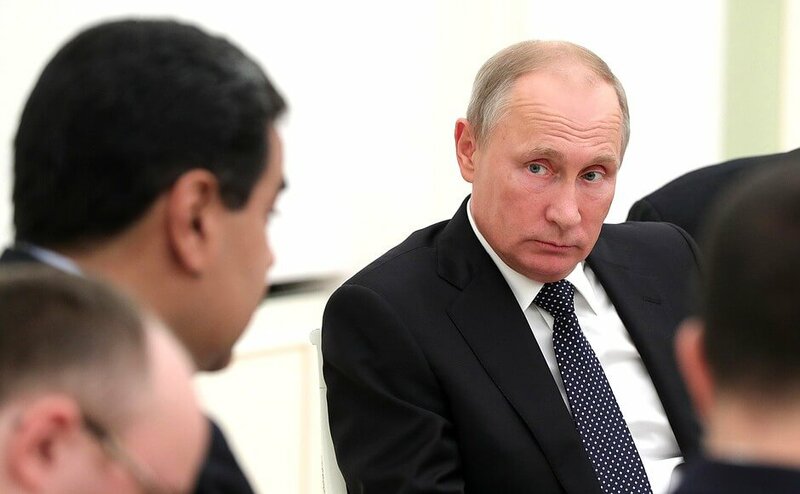 Vladimir Putin and Nicolas Maduro. I am very glad to welcome you in Moscow. We met almost a year ago, last October, but we were always in contact and regularly spoke on the phone. We see that Venezuela is going through challenging times but one gets the impression that you have nonetheless managed to establish some kind of contact with the political forces that are opposing you. But our countries continue working, in particular, in the economic sphere. There has been a small decline in trade, and we believe it is beyond our control. There are some positives as well, including our continued work on our major projects. 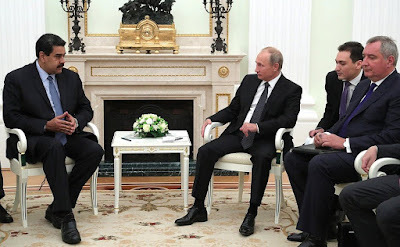 Vladimir Putin at the meeting with President of Venezuela Nicolas Maduro in the Kremlin. We are very glad to see you and would like to thank you for taking part in the international event on the sidelines of which we are meeting today. Russian Energy Week may become a regular forum of considerable interest not only to professionals, participants in global energy markets, but also to representatives of the global economy more broadly. I am very happy to have this opportunity to talk to you today both on political issues and trade and economic ties. To begin with, we are grateful to you for the reception accorded to us. It is very important for us that we are continuously in contact and analyzing what is taking place in our bilateral relations. We are very grateful to you for the political and diplomatic support that you have given us in these difficult times with which we are gradually coping. President of Venezuela Nicolas Maduro in Moscow. Attempts were made to impose on Venezuela a model that would shackle us and not allow us to use the resources that we have. The only way to deal with this is by actively working to resolve this issue and sincerely believing that our homeland will be able to take command. I believe the visit is taking place at a very good time because Venezuela is in for an upswing: we are coping with our problems and starting to make forward progress. And now is the time when we can coordinate our plans for cooperation in the energy industry, agriculture and trade. We are very grateful to you for the agreement on wheat supplies that was signed. It helped us a lot, first of all in social terms. So, I see our meeting as very positive and timely. Vladimir Putin with President of the Bolivarian Republic of Venezuela Nicolas Maduro in the Kremlin. 0 Comment to "Vladimir Putin held Russian - Venezuelan talks"